Gerald R. Carlson, age 80, of Round Lake, passed away Tuesday, June 28, 2016 at his home. He was born June 8, 1936 in Chicago to Harry and Alice (nee Wayner) Carlson. He was an avid Cubs fan and loved Christmas. He was retired from the US Government—SSA. He was also co-owner, president of Heritage Trail Mall, Wilmette. Gerald was a Fenwick High School, class of 1954 and 1958 graduate of University of Illinois. 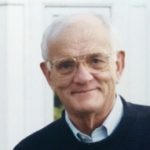 He is survived by his wife of 50 years, Joan Christel-Carlson, whom he married on August 28, 1965 in Manitowoc, WI; his children, Lisa (Ted) Chrisopoulos, Kirsten Carlson of Chicago, and Gregory Carlson of Beijing, China; grandchildren, Quincie Carlson and Bodie Gerald Carlson, both of Chicago; and his sister-in-law, Catherine-Kay Carlson of The Villages, FL. He was predeceased by his parents and two brothers, Norman and Harry. A memorial service is pending and will be held at Joan and Gerry’s home. For service information, please call a family member. Memorials may be made to Fenwick High School Memorial Scholarship Fund. Arrangements were entrusted to Strang Funeral Chapel & Crematorium, 410 E Belvidere Rd, Grayslake, IL 60030. For informaton 847-223-8122 or www.strangfuneral.org. George Mason Clark, Vernon Hills, IL died Wednesday June 15, 2016 after a short illness. He was 93. He was born in Brookline, MA, grew up in Urbana, IL and spent the greater part of his adult life in Columbus, OH, where he worked both as a practicing architect and as a well-loved Full Professor of Architecture at the Ohio State University. He attended DePauw University and was a graduate of the University of Illinois with a Master’s Degree in Architectural Engineering. He was a professional member of AIA. He served with the US Navy in World War II with the Third Fleet aboard the USS Nashville and the USS Phoenix in the South Pacific. He loved spending time with his extended family and friends at his lifelong summer home in Douglas, MI. He volunteered there with Saugatuck-Douglas Historical Society to record and preserve the history of the Michigan Cottage. He also generously donated his time and skills to Trinity Episcopal Church, Columbus and to St. Lawrence Episcopal Church, Libertyville as they restored and remodeled their facilities. He is survived by his sister, Carolyn Clark Richards, of Novi, MI; two daughters, Elizabeth (Betsy) Clark Swank (Ralph) of Vernon Hills IL and Mary (Molly) Clark Siebert (David) of Grayslake, IL; four grandchildren, Elizabeth (Lisa) Swank Bako (Tom), Sarah Swank Mullen (Brian), both of Grayslake, IL, David Siebert, MD of Seattle and Mark Siebert, of Fairfax, VA. He is also survived by 5 great grandchildren, Matthew and Elizabeth Bako and Abigail, Sean and Kate Mullen. Services will be held Saturday, July 2 at St. Lawrence Episcopal Church. Libertyville, IL. Visitation is at 10 AM and services at 11, with interment following in the church columbarium. In lieu of flowers, donations are welcomed in his name at either St. Lawrence Episcopal Church, Libertyville IL or at the Saugatuck-Douglas Historical Society, Saugatuck MI. Frances Anita Wright, 73, passed away Friday, June 17, 2016, in Cortland, IL. She was born November 4, 1942 in Marked Tree, AR to Fred and Velma Mclemore. Frances loved to play bingo, could crochet anything, was an avid tennis watcher, and did crosswords. She enjoyed reading novels, but more than anything she cherished her grand and great-grandchildren. Frances is survived by her children William R. Wright Jr. of Dekalb, IL, Margaret (Gus) Lepez of Cortland, IL, Jeffrey Wright of Chicago, IL and Gerri (Al) Herzer of Naples, FL, her grandchildren Jennifer (Dave), Nichole, Christina, Meagan, Joseph, Justin, Jaryd, Alexandra, and Braden, her great-grandchildren Michael, Alexis, Olivia, and Vivianna, and her siblings John (Kathy) Mclemore, Frank Walsh, and Ronald Walsh. She was preceded in death by her parents, her husband William R. Wright Sr., her brother Fred, and her sisters Pansy Ruth and Nanci. A visitation is scheduled for Saturday, June 25, 2016 from 1:00pm until 2:00pm with a funeral service commencing at 2:00pm at STRANG FUNERAL CHAPEL & CREMATORIUM, 410 E. Belvidere Rd., Grayslake, IL 60030. Interment will follow at Avon Centre Cemetery in Grayslake, IL. For information, call 847-223-8122 or visit www.strangfuneral.org. 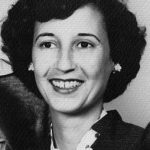 Alice Louise Camden Landrum, 90, of Grayslake, IL, died June 15, 2016. She was preceded in death by her parents, Loren and Lizzie Camden, her husband of 62 years Alva Landrum, Jr. (“Al”), her daughter Deborah Sharon (who died shortly after birth) and her sisters Dorothy Armstrong and Betty Preston. She is survived by her brother Leslie (Oveda), children George (Cindy), Ray (Linda), Janet (Dan Trieschmann), and Eric (Lisa); she is also survived by her eight grandchildren Alex, Douglas, Geoff (Wendy), John (Becky), Julie, David, Allison, Scott, and her great granddaughter Eleanor Alice. Growing up on a small farm in Southern Illinois, she was able to see much of the world as a Navy wife, including a favored Naval Station in Naples, Italy. For over 50 years in Grayslake, she was an active member of the community, including service to the Grayslake Women’s Club, Grayslake Garden Club, and Clearview Baptist Church. She was known regionally for her artistic talent, from painting to ceramics to elaborately decorating thousands of eggs for family members, friends, and the community. Alice enjoyed cooking for her family, including their favorites German chocolate cake (Al), fried chicken (George), lasagna (Ray), chocolate chip cookies (Janet), and T-bone steaks (Eric). She loved the antics of her families’ cats, especially Bootsie. The family is extremely grateful for the care Alice received from so many friends, neighbors, and health professionals. A visitation will be held at Saturday, June 18, 2016 from 8:30am to 9:30am at Bailey Funeral Home 705 N. First St. Vienna, IL with a graveside service at 10am at Zion Cemetery in Ozark, IL. If desired, donations can be made to the Grayslake Area Public Library 100 Library Lane Grayslake, IL 60030. James W. Ostrowski, 66, a resident of Round Lake Park, passed away Saturday, June 11, 2016, in Libertyville, IL. He was born November 23, 1949 in Chicago, IL to Walter and Jean Ostrowski. James had worked for American Airlines for over 37 years. He loved to fish and loved singing karaoke. James is survived by his wife of 26 years, Sandie, his children Karen Schardan and Michael James Ostrowski, his grandchildren Cory and Anastasia, and his sister Nancy (Kelly) O’Kane. He was preceded in death by his parents and his brother Paul Alaks. A visitation is scheduled for Thursday, June 16, 2016 from 1:00pm until 2:00pm with a funeral service commencing at 2:00pm at STRANG FUNERAL CHAPEL & CREMATORIUM, 410 E. Belvidere Rd., Grayslake, IL 60030. Interment will follow at the Highland Memorial Park Cemetery in Libertyville, IL. For information, call 847-223-8122 or visit www.strangfuneral.org. Joan Mary Dennis, 60, a resident of Mundelein, passed away June 3, 2016 at Lutheran General Hospital in Park Ridge, IL. She was born October 5, 1955 in Milwaukee, WI to Jay and Nancy (nee: McCallum) Pastene. Joan is survived by her husband of 34 years, Jim, whom she wed on June 20, 1981 in Milwaukee, WI and lovingly renewed their vows on June 20, 2006 in Rapallo, Italy. Joan is also survived by her twin brother Jim (Mary Ann) Pastene of Portland, OR, her brother Bob (Leanne) Pastene of Naperville, IL, her nieces Evelyn, Lindsay, and Allison Pastene, and her nephews Ben and Jason Pastene. She was preceded in death by her parents. All are welcome to join in a Celebration of Joan’s Life on Sunday, July 17, 2016 from 2:00pm until 5:00pm at Hackney’s on Lake, 1514 E. Lake Ave. Glenview, IL 60025. In lieu of flowers, memorials may be made to Orphans of the Storm Animal Shelter 2200 Riverwoods Rd. Deerfield, IL 60015 or log onto www.orphansofthestorm.org. For more information please call (847)223-8122 or log onto www.strangfuneral.org. Marlene Haertle, age 79, passed away Wednesday, June 8, 2016 at her home in Grayslake, IL. Since Richard, her husband of 48 years, passed away, Marlene loved living in her home in Saddlebrook. Marlene is survived by her three children: Dan Haertle of Washington, DC; Dave (Tammy) Haertle of Racine, WI; and Cindy Orlowski of Wauconda, IL; her brother Jack (Cher) Raduechel of Sheboygan, WI; brothers-in-law Thomas of Santa Barbara, CA and Joseph (Camilla) Haertle of Milwaukee, WI and sister-in-law Dolores Haertle of Milwaukee, WI. She was preceded in death by her sister, JoAnn Shea and two brothers-in-law, Louis (Maxine) Haertle and Robert Haertle. Marlene loved every moment spent with her seven grandchildren: Erin (Ryan) Carbajal, Mark, and Greg Haertle, Tim, Kristen, Michael, and Jake Orlowski. In addition, she loved her two great grandchildren, Micah and Manny Carbajal. She took such pride and joy in the lives of each grandchild, spending special individual time with each one. This was very important to Marlene, so she could get to know each one for the person they are. The grandkids were very spoiled by their grandmother during their trips to Chicago, lunches, Marriott plays, baking days, and the annual fishing contests on the lake. When Marlene’s grandchildren were younger, she helped their scout troops by teaching them how to make ceramics. Christmas was also a special time for Marlene and her grandchildren because Marlene truly loved finding that special gift for each one, especially the perfect Nutcracker. Marlene also enjoyed playing cards and going to the casino with her many friends and neighbors. The friends she made during her retirement years made these years some of the best of her life. The love and comradery between them, each helping the other when needed, should be an example for all. Relatives and friends may meet with the family at 9:00am on Saturday, June 11th at St. Mary of Annunciation (22333 W. Erhart Road, Mundelein, IL) followed by a Memorial Mass at 10:00am. In lieu of flowers, memorials to Feed My Starving Children http://www.fmsc.org/m/donate. Arrangements were entrusted to Strang Funeral Chapel & Crematorium, 410 East Belvidere Road, Grayslake, IL 60030. For information, 847-223-8122 or go to www.strangfuneral.org. Jack M. Wandall, 88, a resident of Grayslake and formerly of Arlington Heights, passed away Monday, June 6, 2016, at his home. He was born August 24, 1927 in Chicago, IL to John and Rose Wandall. Jack is survived by his wife of 58 years, Katherine (nee: Sheahan), his children John (Carol), Mary Kay (Bill) Sutton, and Matthew (Michelle), his grandchildren Lindsay, Mitchell, Clarice (Travis) Warren, Caroline, Melody, Lucas, and Sarah, and his brother Gene (Nancy) Wandall. He was preceded in death by his parents and his sister Joan Sahagian. A visitation is scheduled for Thursday, June 9, 2016 from 3:00pm until 9:00pm at STRANG FUNERAL CHAPEL & CREMATORIUM, 410 E. Belvidere Rd., Grayslake, IL 60030. A funeral mass is scheduled for Friday, June 10, 2016 at 10:00am in the old church at St. Mary of Annunciation 22333 W. Erhart Rd. Mundelein, IL. Interment will follow at the St. Mary’s Cemetery located next to the church. For information, call 847-223-8122 or visit www.strangfuneral.org. Steven Douglas Durno, 64, a resident of Wildwood, IL passed away May 31, 2016 after a long illness at Lutheran General Hospital in Park Ridge, IL. He was born January 12, 1952 in Waukegan, IL to Douglas and Doris (nee: Price) Durno. Steven was an avid Green Bay Packers fan and the nicest guy you ever knew. Steven is survived by his wife of 15 years, Cindy (nee: Eddy), whom he wed on January 19, 2001 in Indianapolis, his son Kyle of Rocklin, CA, his stepdaughter Melissa (Charlie) Bradley of Atlanta, GA, his stepson Ben Virt of New Palestine, IN, his aunt Pat Martin of Pine Island, FL, and many cousins. He was preceded in death by his parents. All funeral arrangements were held privately and entrusted to STRANG FUNERAL CHAPEL & CREMATORIUM, 410 E. Belvidere Rd., Grayslake, IL 60030. In lieu of flowers memorials may be made to Northern Illinois Food Bank www.solvehungertoday.org. For information, call 847-223-8122 or visit www.strangfuneral.org. Zachary James Pound, age 20, of Savoy passed away on May 27th at his home. He was born August 19, 1995 in Libertyville, IL, the son of James Pound and Jacqueline Grosvenor Trodler. He attended Champaign Central and Grayslake North High School. He was a student at Parkland College. He was preceded in death by grandparents Joe & Helen Pound and Uncle John Pound. Zachary will be greatly missed by his parents: Jim and Kathie Pound of Savoy, and Jacquie and Ron Trodler of Beach Park, IL. Zachary was a beloved brother to his siblings, Brandon Pape of Libertyville, IL and Madeline Pound of Beach Park. He leaves behind his Grandparents, Ken & Ginny Grosvenor of Grayslake, IL; Aunts and Uncles: Joe Pound of Sullivan, IL, Janet & Warren Kendall of Grants Pass, OR, June & Chuck Van Vorst of Champaign, IL; Jack & Gisela Pound of Urbana, IL, Michelle Pound of Lake Villa, IL; Marc & Isela Grosvenor of Mundelein, IL, and many cousins. Zachary was loved by many good friends. He was an avid sports fan who could rattle off stats with the best of them. He was a shining star just starting to blossom into the young man he would become. He had a GQ style about him. Zachary touched many lives in small ways throughout his short memorable life. He will be sorely missed by all! A visitation is scheduled for Friday, June 3, 2016 from 5:00pm until 7:00pm at Strang Funeral Chapel & Crematorium 410 E. Belvidere Rd. Grayslake, IL 60030.